Robert Ellis are delighted to offer this TWO bedroom, well presented, end terrace house for rent in this popular area of Chilwell, in close proximity to chilwell retail park with good transport links. The property comprises: Entrance hall, fitted kitchen (with oven & hob), ground floor W.C, lounge with feature electric fire. Upstairs with master bedroom and bedroom two both comprising of en-suite facilities. Outside to the rear is a low maintenance garden. Offered unfurnished. MUST VIEW! Available now. Accompanied viewings. Beeston office. ROBERT ELLIS ARE PLEASED TO OFFER FOR RENT THIS 2 DOUBLE BEDROOM MID TERRACED HOUSE OVERLOOKING FIELDS. 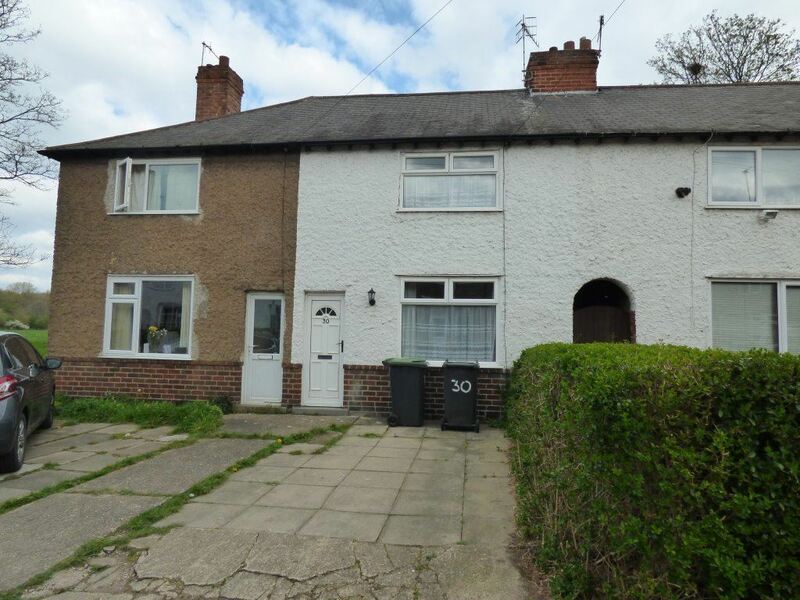 Stituated in Stapleford with its` day to day amenities, popular local schooling, excellent public transport services, and within easy distance to the A52, M1 Motorway & tram terminus. Briefly comprising of: Hall, Lounge, Dining Kitchen, 2 double bedrooms, bathroom, attic space and rear garden overlooking fields. Offered Unfurnished. Available Now. Accompanied Viewing. Stapleford Office. Lounge: With DG window to front elevation, radiator, understairs storage space. Dining Kitchen: With wall and base units, work surfaces, single drainer sink unit, radiator, DG window to rear elevation, DG door to rear elevation. Landing: With radiator, door to inner landing//lobby. Bedroom 1: Double bedroom with DG window to rear elevation having excellent views over the surrounding fields, radiator. Bedroom 2: Double bedroom with DG window to front elevation, radiator. Bathroom: With white three piece suite comprising of panelled bath with shower over, wc, wash hand basin, storage cupboard, radiator, DG window to rear elevation. Inner Landing/Lobby: With 2 storage cupboards and stairs to attic space. Attic Space: Velux roof window to rear overlooking the fields towards St Giles Church in Sandiacre, radiator. Gardens: To the front a shared wrought iron gate and pathway to entrance door. To the front a low maintenance gravelled area behind hedging. Side access gate leads to the rear garden with paved patio area, lawned area, further patio area. NO ADMIN FEES WITH THIS PROPERTY – An attractive modern 1 bedroom first floor apartment set in a block of 4. Briefly the accomodation comprises of 1 bedoom, open plan kitchen / living space, 1 bathroom, and gated access to secure parking space. 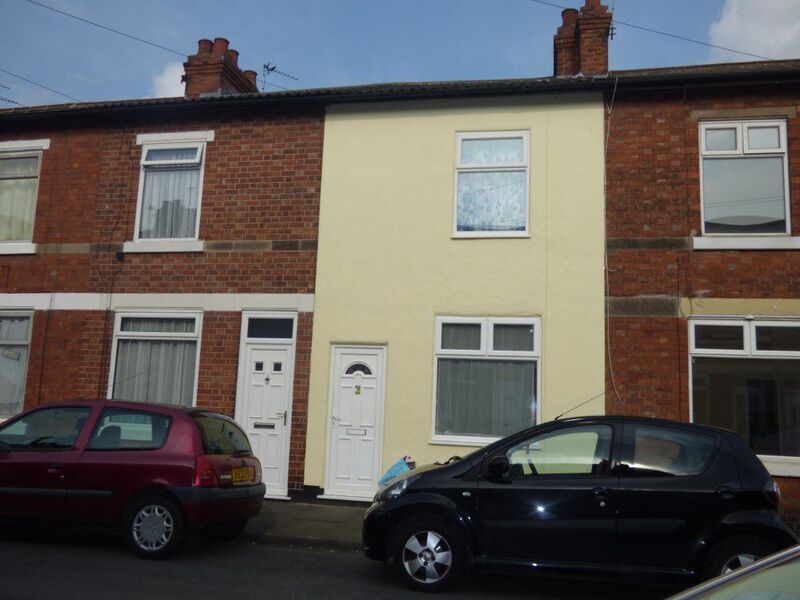 Situated in Stapleford town centre and within easy access to the M1, A52 and tram terminus. Available late April 2019. Offered Unfurnished. Viewings by appointment. Stapleford Office. 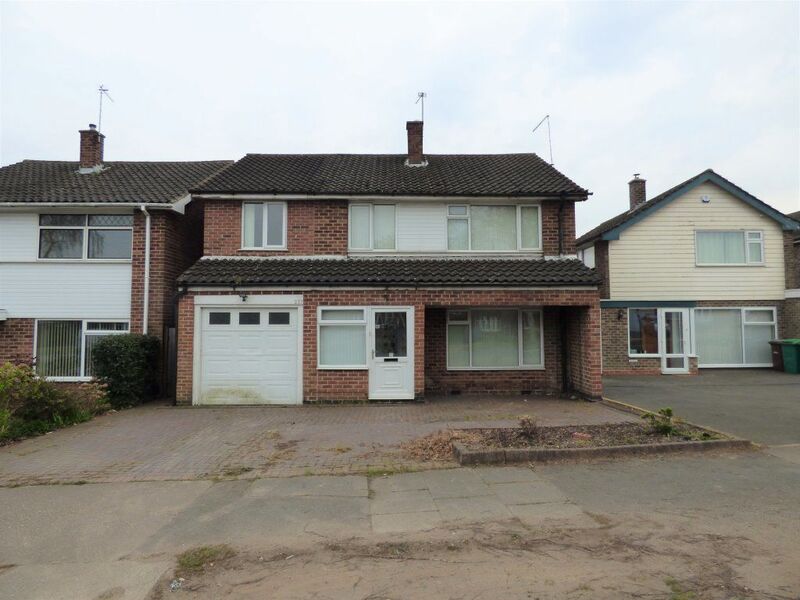 Robert Ellis are pleased to offer for rent this NEARLY NEW 3 bed semi detached property on the hugely popular “Fields Farm” development. Briefly the accommodation comprises, Entrance Hall with stairs to the first floor, radiator and doors off to the Guest Cloakroom, having uPVC d/g window to the front, handwash basin and low flush wc. Living Room (14`5″ x 11`1″) having uPVC d/g french doors to the rear and radiator. Kitchen, having uPVC d/g window to the front, fitted wall and base units with roll edge worksurfaces over, inset sink and drainer, integrated oven, hob and extractor, space for table and chairs. First Floor, Semi galleried landing with uPVC d/g window to the side and doors off to Bedroom 1 (14`5″ x 7`8″) having 2 uPVC d/g windows to the rear and radiator. Bedroom 2 (10`7″ x 8`) having uPVC d/g window to the front and radiator. Bedroom 3 (9` x 6`3″) having uPVC d/g window to the front and radiator. Bathroom, having panel bath with shower attachment, pedestal handwash basin, low flush wc and radiator. Outside is an attractive low maintenance foregarden with newly planted shrubs, driveway parking for several cars and secure gated access to the enclosed rear garden with spacious patio area and lawn. Available Early June 2019, Offered Unfurnished, Viewings by appointment, Long Eaton Office. Robert Ellis are pleased to offer a well-extended large FIVE bedroom family home for rent. The property comprises: THREE reception areas, ground floor shower room and separate toilet, fitted kitchen, three double bedrooms and two single bedrooms complete with a good size family bathroom. Benefitting from integral garage and adequate parking with a contained rear garden. Accompanied viewings. Available from 30th April 2019. Beeston office. A good size unfurnished 2 double bedroom duplex flat with UPVC double glazing & GCH. Excellent central location, close to local amenities & transport links to QMC & Nottingham University. The property comprises: entrance to ground floor utility room, stairway to 1st floor comprising good size lounge with open plan fitted kitchen (with cooker & fridge), 1 double bedroom & fitted good size bathroom (with shower). Further stairway to spacious master bedroom. Available 7th November 2018. Viewings by appointment Beeston office. Recently refurbished two bedroom mid terraced property located near Long Eaton town centre, the accommodation on offer comprises of lounge with newly fitted carpet, dining/kitchen, utility room with space for washing machine, recently fitted white bathroom and to the first floor two double bedrooms. To the rear of the property is a patio garden with outbuildings. Property available mid May. viewings through the Long Eaton office. 2 DOUBLE BEDROOM MID TOWN HOUSE IN A CUL-DE-SAC LOCATION & OVERLOOKING FIELDS situated close to Stapleford town centre with its day to day amenities, popular schooling and being close to the A52, M1 Motorway & tram terminus. Briefly comprising of: Hall, Lounge, Dining Kitchen, 2 bedrooms, Bathroom with 4 piece suite, rear garden, off road car standing. Offered Unfurnished. Available Now. Accompanied Viewing. Stapleford Office. Hallway: with stairs to first floor. Lounge: DG window to front elevation, Radiator, newly fitted carpet. Dining Kitchen: With wall and base units, work surfaces, single drainer sink unit, electric cooker, Radiator, DG window to rear elevation, door to rear elevation, understairs storage cupboard & further dtorage cupboard. Bedroom 1: Double bedroom, DG window to front elevation, Radiator, newly fitted carpet, built-in cupboard. Bedroom 2: Double bedroom with DG window to rear elevation, Radiator. Bathroom: With panelled bath, separate shower cubicle with shower, EC, pedestal wash hand basin, DG window to rear elevation. Radiator. Outside: To the front slabbed off road car standing, side access leads to the rear having lawn and pathway. Robert Ellis are pleased to offer to the rental market an immaculately presented three bedroom house located in the popular village of Draycott. The accommodation comprises of entrance hallway, large lounge/dining room with French doors leading to the rear garden, recently fitted contemporary kitchen with a integrated washing machine, fridge/freezer and dishwasher, range cooker and built in microwave, the kitchen also has French doors leading to the rear garden. To the first floor are two double bedrooms with built in wardrobes to the second bedroom and single bedroom, white fitted modern bathroom with ‘Jacuzzi’ bath and electric shower over the bath, pedestal wash hand basin and low flush WC. Outside the property is ample driveway parking to the front and to the rear is a paved patio area, mature shrubs and lawn area. Viewing by appointment. Available 1st June 2019. 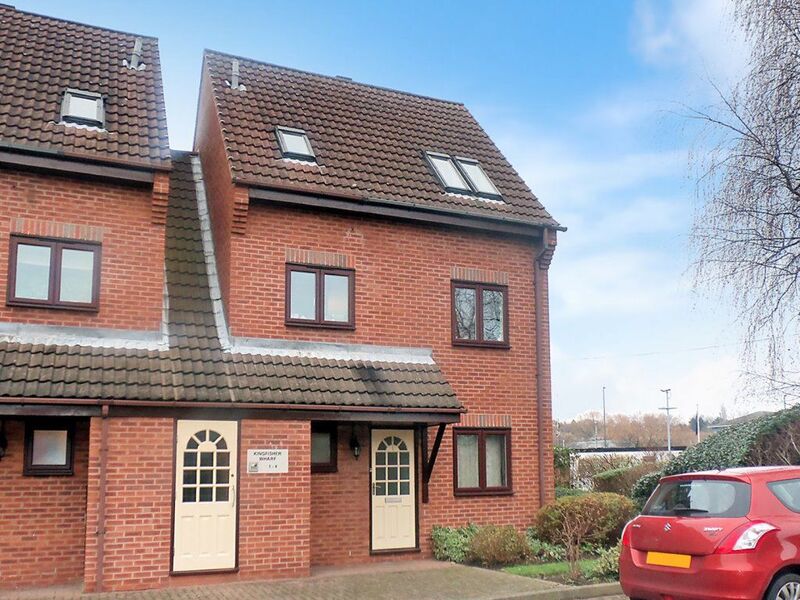 1 BEDROOM UNFURNISHED GROUND FLOOR FLAT situated in Stapleford with its day to day amenities, excellent local transport sevices and having the A52, M1 Motorway & tram terminus are close by. Briefly comprising of Hall, Bathroom, Kitchen, Lounge, Double Bedroom, parking in communal parking area. Offered Unfurnished. Available Now. Accompanied Viewing. Stapleford Office. Hallway: With L-shape hallway, built-in storage cupboard. Bathroom: With panelled bath having shower over, pedestal wash hand basin, WC, DG window to rear elevation, wall mounted electric fan heater. Lounge: With DG window to front elevation, wall mounted electric heater. Bedroom: With DG window to front elevation, wall mounted electric heater, buil-in storage cupboard. Communal parking area located off Ilkeston Road.